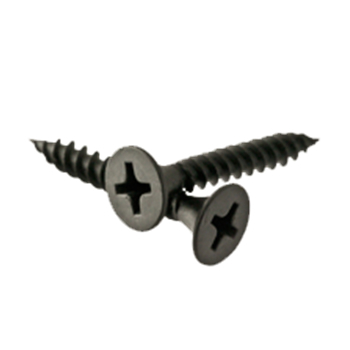 Drywall screws are countersunk "bugle' head screws with a concave underhead bearing surface. The threads are spaced and available in course or fine thread. Drywall screws are used for attaching drywall to metal studs. Longer sizes are ideal for multiple layers or insulation. RC Fasteners & Components is your source for Phillips bugle head drywall screws in gray phosphate, RoHS compliant zinc clear and zinc yellow platings. Proud and blessed to offer the Proferred Drywallerz Brand from BBI. Also in stock are K-Lath or Phillips Modified Truss sharp point drywall screws.